One of the things that stands out about the new Amici House project – or rather, doesn’t – is that the five-story residential building under construction doesn’t really stand out for a structure of its size. The hillside to the east keeps it from being prominent, and the section of Spencer Road on which its sits is tucked away from most neighboring structures – the building is hardly noticeable from South Meadow Street. The structure is fully framed, nearly fully sheathed with fire-resistant National Gypsum eXP panels, and then layers with Dow Thermax panels, which stand out somewhat because of the reflective aluminum facer. The Thermax panels are glass-fiber reinforced polyiso insulation, a lighter duty but fire-resistant material, and bonus, it’s made at facilities powered by 100% renewable energy and has “zero ozone depleting potential”. The blue material is a liquid sealant to fill the spaces between panel edges (Dow LIQUIDARMOR), and it looks like metal rails are being attached at the ground level, where the exterior finish will be attached. I’ve kinda assumed this will be fiber cement panels, but to be honest I have not seen a materials sheet in the city’s online files. The same could be said for the new Harriet Giannelis Childcare Center, which looks nothing like the plans on file and presumably is filed somewhere, just not online. To be fair, it doesn’t look bad at all. Perhaps a bit plain, which isn’t a surprise given TCAction’s tight budget, but Schickel Architecture did attempt to dress it up by varying the colors and playing with the architectural details. Given the goals of the project, as long as its appearance doesn’t actively repel visitors and scare the kids, then it’s A-OK. Landscaping, colorful children’s projects and plantings will make it even better. Note that one of the primary parking areas will be behind the new stone retaining wall at the rear of the property. Another will be along the section of Spencer Road across from the TCAction offices. I don’t typically follow renovations, but figured I’d play the role of curious alumnus and drop in to the newly renovated Martin Y. Tang Welcome Center at Noyes Lodge on the north shores of Cornell’s Beebe Lake. The 7,646 SF Noyes Lodge originally opened in 1958 as a womens’ dining hall, and over the years was re-purposed to become the Language Resource Center, with audio carrels and other equipment for those with linguistic coursework. Cornell decided to shift facilities, moving the LRC to Stimson Hall and renovating the lodge into a campus welcome center, which opened in June. This is now where student tour guides gather their broods, vs. the old days when they would congregate at Day Hall. The lower level hosts conference space, utility rooms and offices. The Tang family have long been trustees and major donors to the university. The $3 million gift in October 2016 was in response to a challenge grant created by mega-donor Atlantic Philanthropies (funded by Charles Feeney ’56), which offered up to $3 million in matching funds to donations towards the new welcome center – so with $6 million secured, the renovation’s financing was secured and will be able to move forward. Cornell has long considered a reception and exhibition space by the gorges, having mulled over but ultimately backing away from a plan penned by architect Richard Meier in the late 1980s. Tang, Class of 1970 and now retired, was a venture capitalist based in Hong Kong, and the regional chairman of a recruitment firm for business executives. JMZ Architects of Glens Falls, a favorite of the SUNY System, was the design firm in charge of the renovation and re-purposing. The exhibition space is the work of Poulin and Morris Inc. of New York City. With that all said, here’s a story. When I first visited Cornell, it was for Cornell Days: cold, windy and kinda desolate. My mother and my uncle made the trip with me, since I had just been accepted to the university – my family did not have the money or time to visit schools unless I was already given an offer. Out first stop was RPCC on North Campus. On a Powerpoint on a TV screen were two sailors kissing; it was part of a promotion for a campus LGBTQ organization. Having come from a blue-collar and fairly conservative town north of Syracuse, my mother was shocked into silence, and my uncle proceeded to have a crisis of moral conscience on whether his nephew should attend such a school. You have to keep in mind, it was still controversial for many of our town’s older generation that the high school A.P. Government teacher was openly gay. The kids didn’t care, and I couldn’t have cared less that day either. Anyway, what warmed my mom up to Cornell were “the castles”. Sage Hall. The Arts Quad. Uris Library. But as for me, I didn’t feel like I fit in. My tour group was a bunch of wealthy kids, one of whom loudly grumbled his disappointment that he didn’t get into Yale and his mother didn’t like Dartmouth. Why would a 17 year-old want the constant reminder that he’s not cut from that cloth or a part of that world? So I wrote out a deposit check with my money from waiting tables to SUNY Geneseo. And Geneseo was the check that had been put out in the mail. Until my mom took the envelope out of the mailbox and tore it up, putting one out to Cornell in its place. We had some fights after that. She wanted me to give “that big money Ivy League school” a chance, I was not as keen. When I first arrived at Cornell, I was pretty sure I’d transfer to Geneseo after the first semester. I didn’t feel comfortable there. But then I started to meet other people who didn’t feel comfortable there or fit that upper-crust Cornell image, and we became friends. Suddenly, the urge to leave was much weaker. Mom had resigned herself to the idea of me transferring by Thanksgiving, but when she found out I hadn’t completed the paperwork, she was pretty happy. As for me, well, I was required to attend a fancy dinner a few weeks earlier where an older gentleman who had funded one of my scholarships urged me to visit his old Cornell fraternity, and I went to their Thanksgiving dinner as a polite gesture. I found it to be a down-to-earth place filled with people with backgrounds like mine, that’s how I ended up coming back for rush week and in Greek life – something I managed to hide from my mom until graduation day. I steadily came to know more people, get involved in different activities on campus, and things went from there. And a growing fascination with “the castles” and their history led to Ithacating. I guess in some sense it all worked out eventually. 1. The infill project at 209 Hudson has been revised and reduced in size. The new plan from the Stavropoulos family of developers calls for just one new duplex at this time, on the existing lawn and swimming pool of the extra-large lot. The rear duplex was eliminated in the revised plan. A small zoning variance is still required for the subdivision (side yard deficiency), but it’s less likely to catch the ire of BZA members this time around because more mature trees are preserved in this reduced-size iteration. Modest bay window projections, fiber cement panels and wood trim will help create a higher quality product. The duplex would be a quick build since it’s modular, but it’s not going to be ready in time for fall semester – spring (January) would be feasible, if the individual units are assembled before the snow flies. The Planning Board will make their recommendation this month, and the BZA will have their vote in early August, with potential final approval in late August. Quick note, as this has fallen under the threshold for the Ithaca project map (3 units or more), it has been removed. Also due for review this month are final approvals for 128 West Falls Street (above) and a 3,200 SF endcap addition at South Meadow Square, and approval of a subdivision at 508-512 Edgewood Place. 327 West Seneca is the new all-affordable project they introduced at last month’s planning board meeting. As for the others, I don’t have much of a clue. Ithaca does not have a Main Street, so that’s likely another community. 409 State may refer to an older building at 409 West State or 409 East State, but 409 East State is Travis Hyde’s Gateway Center property (and who at last check had no plans to sell). As for the others, it looks like the first number was erased. Also of note, there is no East Cayuga, it’s just North and South. So I dunno quite what to make of it – hints of projects with some red herrings, it seems. Worth a look, but it’s not much to work with just yet. 3. Time for a little more speculation. A vacant lot east of 404 Wood Street in the city of Ithaca’s Southside neighborhood sold for $70,000 on June 26th. The buyers were a husband-and-wife pair who also happen to work for Taitem Engineering, a prominent local consulting engineering firm with specialties in structural engineering and associated branches in the context of green/sustainable building operation. The pair previously did a LEED Platinum, net-zero energy home in Ulysses two years ago. The likely guess here is that they’ll be building their next net-zero energy residence on this lot. TL;DR – if they want to do a small infill net-zero apartment building, they can. If they want to do a sizable single-family residence, they can do that as well. We’ll just have to wait and see what happens. 4. On the policy side, the Ithaca Common Council voted Wednesday night to move forward with a CIITAP stipulation stating projects pursuing the tax abatement must have a mandatory affordable housing component of 20%, available to those making 75% Area Median Income, affected all residential projects with ten units or more.The extension of CIITAP applicable properties along the Waterfront was also approved. The policy comes forth after considerable debate over the right percentage and right income to apply. It’s the Goldilocks principle – too little and you don’t add an appreciable amount of affordable housing and may even decrease the amount once redevelopment occurs in lower-income blocks, too much and developers just won’t build (the Portland problem), and those who stick around will renovate existing buildings instead, meaning less supply overall, fewer existing lower-income units and accelerated gentrification. Among things discussed Wednesday night, a proposal to modify the mandatory size requirement of affordable units from a minimum of 80% the square-footage of the market-rate to 100% failed 5-4 (needed six), the % of affordable units went from 10% to 25% (the 25% was the First Ward’s George McGonigal, who has a history of being opposed to new market-rate and affordable housing, and did not get a second to open discussion). It’s too early to say if this is too much or not enough – the City Harbor folks were in attendance for the discussion (they were at the meeting for a different topic), but didn’t raise concerns to 20%, so it seems likely their project is able to continue. The county IDA is the grantee of abatements with the city in an advisory role only, so they’ll have the final say on the application of the new law. 5. Tompkins Cortland Community College’s Childcare Center has the funds it needs to move forward. The project, first proposed in February 2016, calls for an 8,000 SF, $4 million building, plus a $1.5 million endowment for operating costs. 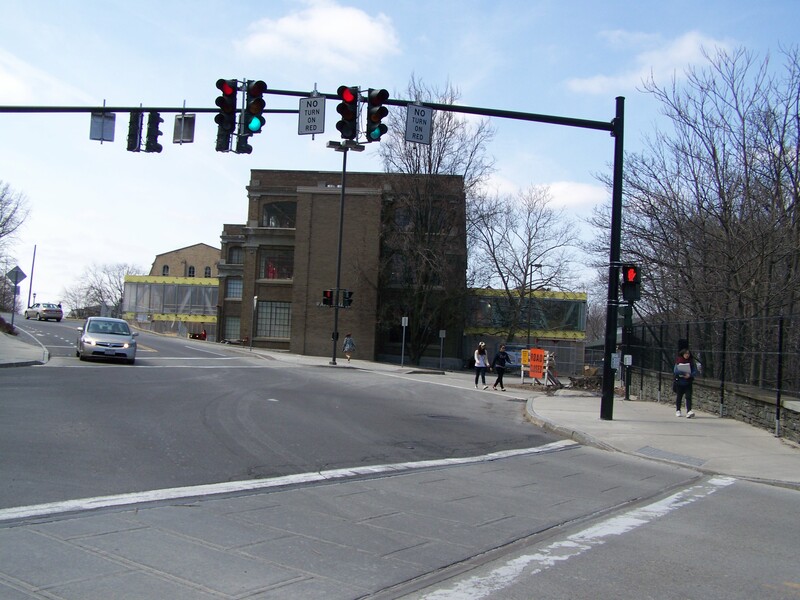 State funds support much of the cost, as well as a $2 million donation from Ithaca CEO and major TC3 donor Arthur Kuckes, for whom the center will be named. According to Jamie Swinnerton over at Tompkins Weekly, the project includes six classrooms with two infant rooms, three playgrounds, and be, in part, staffed by students studying to be teachers and childcare providers. 12 jobs will be created, and since it’s for faculty, students and staff, those jobs are expected to be full-time and all year-round. The building is expected to be partially opened by the start of the Spring semester, and fully occupied by the Fall 2019 semester. Design-wise, the latest design in Tompkins Weekly shows smaller windows and the loss of some hipped roof bumpouts at the rear of the building (older version here). Value engineering noted, but the goal of helping students with children stay in school, and get the degrees they want to build their professional foundations on outweighs any shade thrown at the design changes. 6. Also finally moving forward – Lansing Meadows. There was an 11th-hour holdup for the 20-unit senior housing project when the village expressed discomfort with accepting future ownership of Lansing Meadows Drive, feeling the turns were too sharp and posed a liability. Developer Eric Goetzmann relented and agreed to maintain the road as a private road, and the village board approved the project 3-2; there are still a lot of sore feelings about the often-delayed and arguably underwhelming final proposal. Goetzmann has until July 31st to obtain permits to begin construction, or else the county IDA will recommence seeking clawback reparations from abated taxes, most of which went toward the BJ’s that was built in 2011-12. 7. Let’s slay some inbox rumors. East Hill Village is not cancelled. Nor is Trinitas’ Dryden Townhomes project. I checked with the project teams – both are still active projects. However, East Hill Village is waiting on the town of Ithaca to finish updating its zoning to a more form-based code, and the project will not move forward until that happens. 8. For fun: here’s a Google Docs spreadsheet on how the Ithaca metropolitan area lines up with other metros on new home construction permits since 1980. Key takeways – Ithaca/Tompkins County was in the top 10% of metros in 2017 for multi-family housing permits per capita (30th of 381), but it lags quite a bit in the construction of single-family homes, so its overall rank is only the 64th percentile (137th of 381). Even then, it’s still one of the fastest growing housing markets per capita in the Northeastern United States. 2016 and 2017 have been strong years, while 2015 and earlier were generally well below the national average. The multi-family number per capita is arguably skewed higher than a typical year thanks to large projects like 441-unit/872-bed Maplewood, but the message seems to be that the community is seeing real results from its push for housing. However, with a lack of single-family being built, Ithaca and Tompkins County need to figure out ways to compensate for what single-family provides (i.e. home ownership). It’s not necessarily “we should build more single-family homes” although that is part of the answer. It’s also encouraging suitable single-home substitutes (condos) in desirable areas while maintaining a strong, steady flow of new units as the local economy continues to grow.